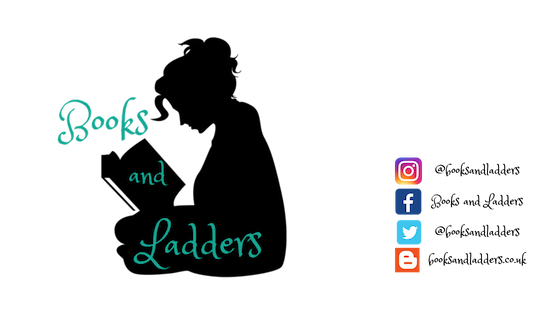 See a Guest Post about This Book! Peace. Love. Order. Dome. That’s the motto that the Order has given the residents of Dome 1618 to live by. Natalia Greyes is a resident of Dome 1618, a covered city protected from the deadly radiation that has poisoned the world outside for four generations. Nat never questioned the Order, until one day she sees a stranger on the outside of the dome. Now Nat wants answers. Is there life outside the dome and if so, what has the Order been hiding from everyone? Describe HERE SKIES SURROUND US in ten words or less. Melanie McFarlane: Girl goes home with boy and meets his sadistic mother. What is different about writing sequels as opposed to first novels? Melanie McFarlane: There’s so much to remember with a sequel. You need to carry on the overall story arc, while developing your characters even deeper, and keep the conflict alive. Nat changes a lot in book 2 – she still carries her innocence from book 1 – but watches it break apart in chunks as the book progresses. What was the hardest scene for you to write in the novel? Melanie McFarlane: There is just this tragic scene where a stage full of children are being brought before a court for crimes they committed. I have to say that I definitely had tears while writing that scene. It’s an extreme way to show just how far our greed and entitlement for what we perceive as freedom can take us. But I can’t tell you anything else, or I’ll spoil the moment! What do you hope readers take away from HERE SKIES SURROUND US? Melanie McFarlane: Nat was so determined at the end of THERE ONCE WERE STARS that freedom was the answer to all of their troubles. 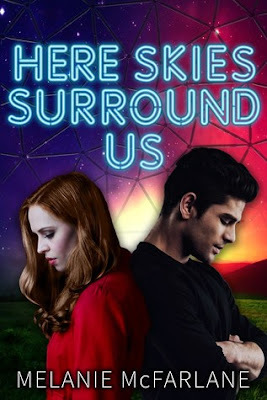 But the grass isn’t always as green as we expect it to be on the other side – and when Nat goes to Evan’s dome she sees just how twisted people can become when they try to protect that freedom that they desparately sought to obtain. Ethical decisions are cast aside, and it’s the innocent who pay. In book 2 I think Nat still holds some of that naivity and innocence that held her back at the beginning of book 1. But the one thing that keeps her strong is that she doesn’t hold a sense of entitlement over anyone. She doesn’t think her freedom should come at the cost of others. She’s just there to do what’s right – which are her last words in the story. Have you learned anything in the process of writing that you wished you'd known when you first started? Melanie McFarlane: Patience. I always talk about this, but it’s so important. I wish I had been more patient with the process. Enjoy the process. Savour every moment. Everything is a learning process when it comes to writing – and you should never stop learning. 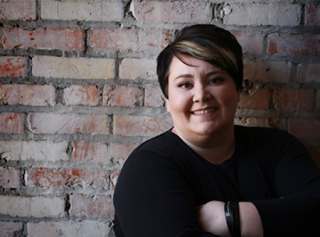 Melanie McFarlane is a passionate writer of other-wordly adventures, a little excitable, and a little quirky. Whether it’s uncovering the corruption of the future, or traveling to other worlds to save the universe, she jumps in with both hands on her keyboard. 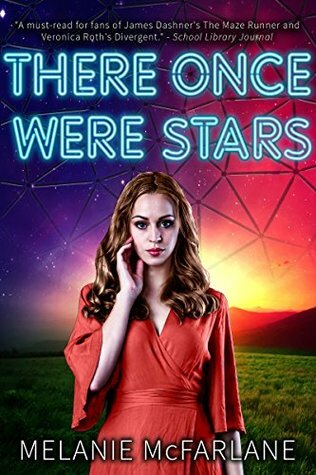 Though she can be found obsessing over zombies and orcs from time to time, Melanie has focused her powers on her YA debut There Once Were Stars, and her YA urban fantasy Summoner Rising. She lives with her husband and two daughters in the Land of Living Skies.